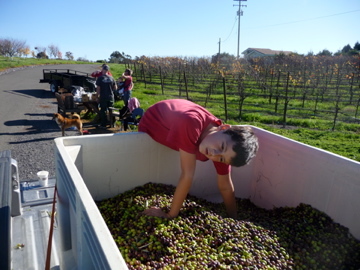 This past Sunday we participated in the annual Corona Creek Olive Harvest. 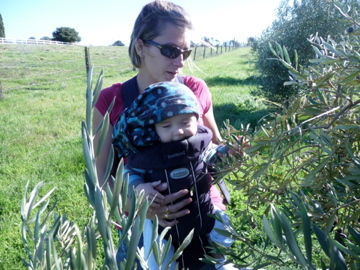 Corona Creek, in addition to it’s excellent Pinot Noir vineyard, has an olive grove. Chris makes the most incredible olive oil out of these olives. 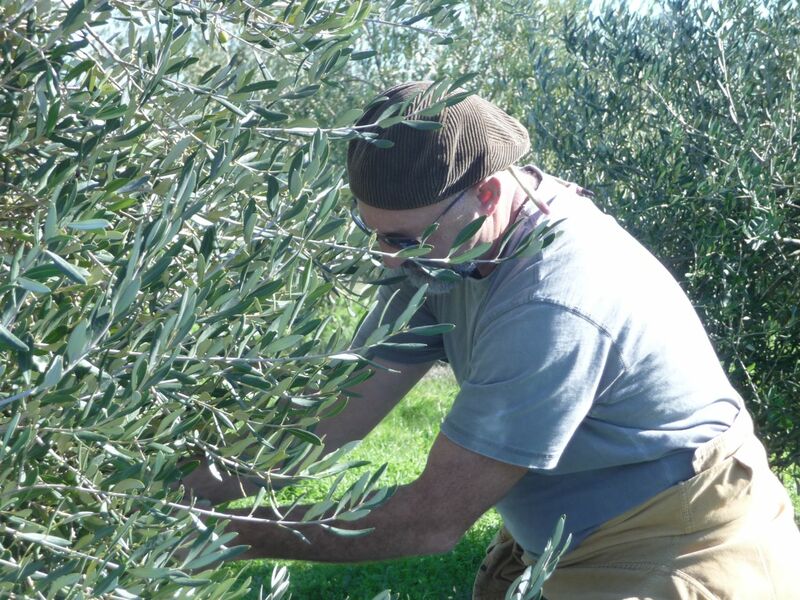 A crowd of about 50 volunteers descended on the olive grove early in the morning and got busy pulling, shaking and generally having a good old time helping Chris, the owner, bring down as many olives as we could before the lunch feast at noon. One of the main reasons we elected to source grapes from Corona Creek is due to the fact that it is a small family farm with sustainable practices growing a variety of vegetables in addition to the grapes and olives. In other words, it is far from a mono culture farm. In fact, it is quite multi-cultural. 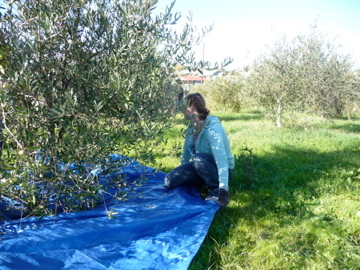 In any case, olive picking was a lot of fun. We met a lot of people from all walks of life. The kids and dogs had a great time through the trees and the vineyards and we learned a bit about what makes good olive oil while enjoying our fellow pickers’ company. Afterward we enjoyed a lovely meal along with some of Corona Creek’s own Pinot Noir. To top it all off, a lively singing trio was on hand to entertain the crowd during lunch.